What to do on a dull gray day? Head into the wilds and look for an elephant. You will need a pair of binoculars, a blanket, a flute, some food, a little imagination, and a lot of curiosity. Look and listen closely, because elephants can be anywhere. And watch out, because if you’re not careful, the elephant may find you first! 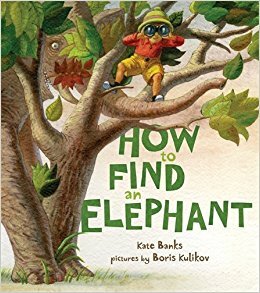 With pleasing prose and “now you see it, now you don’t” artwork, Kate Banks and Boris Kulikov’s How to Find an Elephant takes readers on a spirited romp that will both challenge and delight. 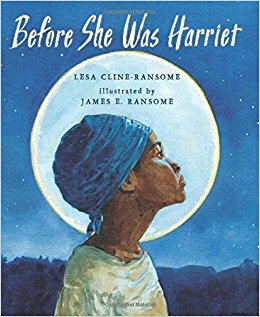 A lush and lyrical biography of Harriet Tubman, written in verse and illustrated by an award-winning artist. We know her today as Harriet Tubman, but in her lifetime she was called by many names. As General Tubman she was a Union spy. As Moses she led hundreds to freedom on the Underground Railroad. As Minty she was a slave whose spirit could not be broken. An evocative poem and opulent watercolors come together to honor a woman of humble origins whose courage and compassion make her larger than life. In this endearing story of a tiny toy train, the creator of the hit series Dinotrux now breathes life into more than a half-dozen trains that climb, haul, chug, zip, and zoom. In a small room, down a short flight of stairs, there lives a little toy train…about to have a BIG adventure! There’s an endless world to explore, and awe-inspiring new friends to meet. Mighty Max, Chloe Cogs, Sara Speedster, and Farley Freighter can reach all the best sights, lickety-split. 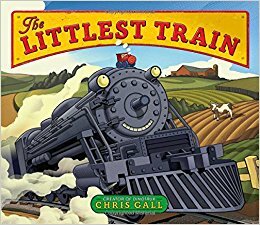 But when the day is done and the sun goes down, will the littlest train find his way home? Calling all train lovers: All aboard! When a clumsy armadillo named Lola knocks over a glass pitcher, she sets off a silly chain of events, encountering chaos wherever she goes. 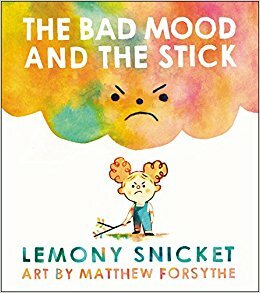 But accidents happen–just ask the stoat snarled in spaghetti, the airborne sheep, and the bull who has broken a whole shop’s worth of china. 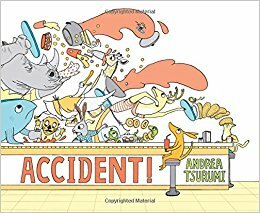 In the tradition of beloved books like The Dot and Beautiful Oops, this charming, hilarious debut from author-illustrator Andrea Tsurumi shows that mistakes don’t have to be the end of the world.